Ruth continues to complete more of her data set and make it available to us, we are now at over 940 locations, maybe we can hit 1000 before the end of the year ? Thank you Ruth, your support is phenomenal ! 800 localities now on London Pavement Geology! 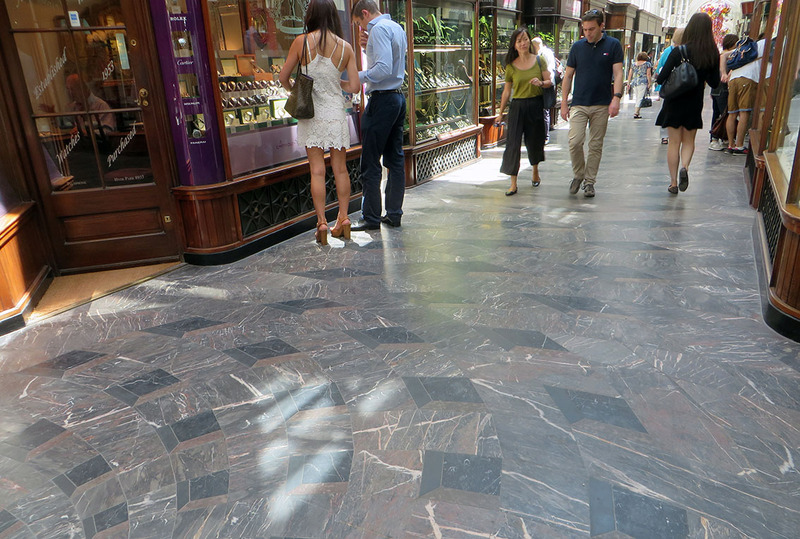 Still a few holes to plug in Central London and Canary Wharf, but now over 800 localities and their building stones are listed on London Pavement Geology, including the Devon Marbles used in the refurbishment of the Burlington Arcade on London’s Piccadilly (below). Dr Ruth Siddall writes fascinating blogs about a wide variety of topics in her fields of Urban Geology, artists’ pigments, minerals and geoarchaeology. Her latest is on fossilised bones in the Portland.